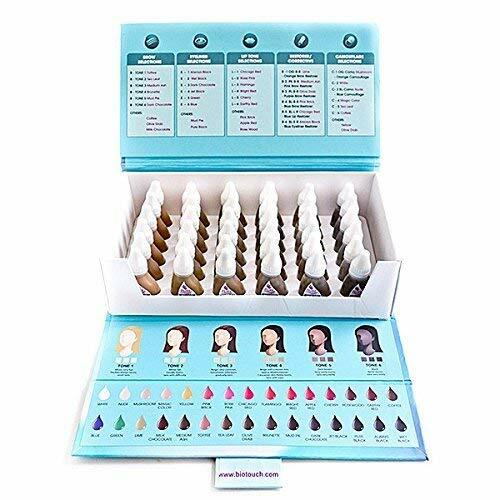 BioTouch Pure Brow Kit - A Set of Six Different Pigment Colors/6 Bottles of each This brow selection kit has pre-arranged pigments for individual use on 1-6 skin tones, from light to dark shades. 3ml. Pure Brow Kit - A Set of Six Different Pigment Colors. 6 Bottles of each. This brow selection kit has pre-arranged pigments for individual use on 1-6 skin tones, from light to dark shades. 3ml. Made in USA - Authentic BIOTOUCH product. High Quality Pigment for Microblading, Permanent Makeup and Cosmetic Tattoo - FOR PROFESSIONAL USE ONLY. EXPIRATION DATE: Approx. 2 years or longer. If you have any questions about this product by BioTouch, contact us by completing and submitting the form below. If you are looking for a specif part number, please include it with your message. Olaplex Bond Perfector No.2 Olaplex Perfector Unisex 67.62 oz, 67.62 oz.